Today we’re taking a look at Spitfire Audio’s hottest addition to their orchestral range of libraries: the Bernard Herrmann Composer Toolkit. Inspired by its iconic namesake, renowned film composer Bernard Herrmann, Spitfire went out to catch the spirit of highly praised classic soundtracks to films like Psycho, Vertigo, Citizen Kane and Taxi Driver – all milestones of 20th century cinema. 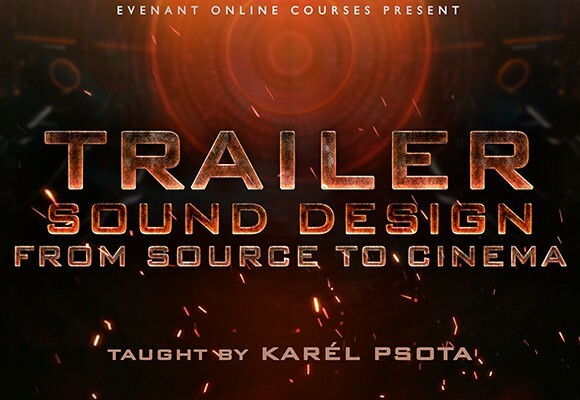 In collaboration with the Bernard Herrmann Estate, Spitfire Audio put together a vast collection of unique orchestral colors and combinations to recreate the master’s scoring aesthetics and transport them into a modern-day composition workflow. I had the chance to test Spitfire’s new library and would like to share this experience with you in the following review. Have fun! The Bernard Herrmann Composer Toolkit was recorded in London’s iconic AIR Lyndhurst Studios, the place where most of Spitfire Audio‘s libraries come to life. Instead of recording in the large Lyndhurst Hall though, the developers went into AIR’s slightly more compact Studio 1 in order to capture a more upfront and drier sound. Putting together a smaller ensemble and recording in a dry room yielded a sound reminiscent of 1950s/60s studio and TV orchestras – the sound you hear in most of Bernard Herrmann’s scores. This library is by no means intended to sound retro or “vintage-y” though, so please don’t expect a wobbling gramophone/silent film-type of sonic aesthetic. Instead, Spitfire recorded in pristine audio quality, capturing performances in the style of Bernard Herrmann: venturing, expressive and unique. What really sets this sample library apart from others, is that it features a variety of instrument combinations that create original colors and unique orchestral textures – a thing Herrmann was most noted for. As always, business before pleasure. 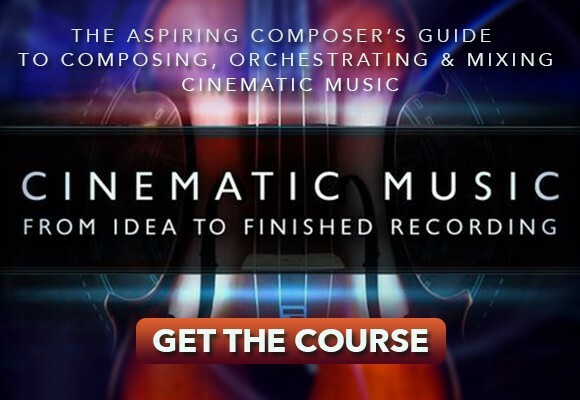 Before you can use the Bernard Herrmann Composer Toolkit in Kontakt, you first have to download a huge bulk of around 147 GB of samples which decompress into 225 GB on your system – so better schedule some time and gear up on hard drive real estate! After the installation, you just register the library from within the Kontakt Player and you’re ready to go. Upon clicking on the library’s instrument tab, you’re welcomed by a decent list of instrument patches. Each patch features different instruments or combinations of instruments and includes pre-designed selections of the most important articulations. The sleek user interface is laid out in a pretty straightforward fashion and resembles most other Spitfire Audio libraries. Apart from the individual articulation stanzas at the bottom, you can find controls for easy microphone mixing, dynamics, release, reverb and expression. The Advanced tab (accessible by clicking on the little wrench icon to the left) provides you with a more detailed control over your microphone positions mix as well as other utilities like transposition or CC mapping. Also, it allows you to purge articulations you don’t use by clicking on the small dark rectangulars below the articulation stanzas. As with most other Spitfire libraries, you don’t have to load up a set of articulations if you know that you just want to use one or two individual ones. 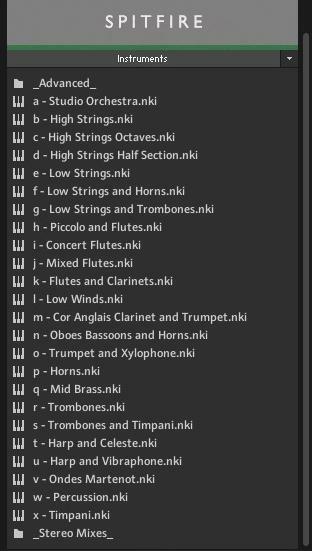 You have access to every single articulation for every instrument (combination) by dialing into the Advanced folder on the Instruments list. As always, Spitfire Audio provides you with a wide selection of microphone positions to give you total sonic flexibility over your instruments. We have control over a blend of the mandatory Close, Tree, Ambience and Outrigger mic positions (seen above) but this time, the developers added two additional mics to the equation. Since most of the patches included in the toolkit are combinations of two orchestral instruments, you gain access to a second close mic and an additional tree mic position. This way, you’re able to choose your own volume balance between the two instruments of a patch which is a pretty clever move in my opinion. If you’re not interested in mixing different mic positions and prefer a more simple solution, you can always use the Easy Mix on the main interface to blend between adirect and a roomier mic position. Apart from the separated high and low string sections, some brass patches and a concert flute patch, you’ll mostly find combinations of orchestral instruments. These are inspired by the arrangement techniques of Bernard Hermann, who was known to be able to create outstanding orchestral colors by cleverly combining instruments of different orchestral families. For that reason, Spitfire Audio created a variety of interesting, sometimes unusual instrument combinations for you, including low strings & trombones, harp & celeste or trumpets & xylophone – just to name a few. Starting at the top, you get a full studio-sized orchestra to play with, which includes a combination of strings, brass and woodwinds. In contrast to other symphonic libraries, the orchestral sound in the Bernard Hermann Toolkit is somewhat more direct, drier and features a lot of detail. The Studio Orchestra patch has an amazing chords articulation which creates very beautiful and lush orchestral arcs. It would have been nice to have a looped sustain portion of the chords though, so you’d be able to hold them as long as you wish. The Studio Orchestra patch has some neat FX articulations, too, including clusters and slides. I found the “Slides Up” articulation particularly interesting since it can be used to create authentic orchestral risers. 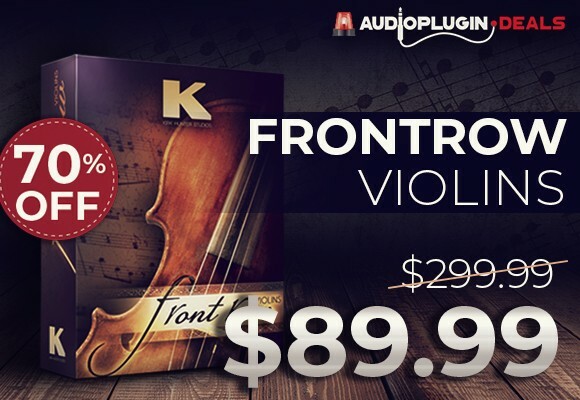 The Low and High Strings patches have similar articulations including snappy spiccatos, pizzicatos, col legnos and a beautiful sustain patch in which you can really hear and feel the individual players performing. Especially the low strings and brass combinations provide some big and bold short articulations as well as tremolos that I’m sure will sit very well under any suspenseful cue. It is little surprise that the woodwind department of the Bernard Herrmann Toolkit is quite well-equipped. Herrmann extensively used woodwinds in his cues and made heavy use of their ability to perform wild effects (think of Hitchcock’s 1966’s “Torn Curtain”). Next to smooth legatos and lush sustain articulations, you’ll find plenty of interesting woodwind effects like flutters, falls and clusters. I particularly fell in love with the chords articulation of the Mixed Flutes patch as it contains beautifully orchestrated chords reminiscent of some of John Williams’ best-known scores (Star Wars, anyone?). Some of the patches even got a slightly more comical feel to them – like the trumpet and xylophone combination – which makes them suitable candidates for scoring to animated picture, too! The horns and trombones patches feel much like the strings mentioned above in that they sound quite direct while still keeping a nice orchestral aura around them. Since these patches were recorded using fewer players than a traditional symphonic orchestra, you can really make out the individual players. This makes for an interesting option to enhance the authenticity of your compositions by layering the Bernard Herrmann instruments with other big and broad symphonic patches. The Trombones and Timpani patch is worth pointing out since it features a very interesting concept. While the short articulations simply combine brass stabs with timpani hits, the long articulation merges raspy trombone sustains with thunderous timpani rolls. What makes the long articulation unique is that you can ride the intensity of both the trombone and timpani rolls with the modwheel, enabling you to create super-realistic crescendos. The orchestral harp is featured in two combinations: harp & celeste as well as harp & vibraphone. Again, these combinations create very interesting colors that can help to bring a certain melody or accompaniment across more uniquely. Both the celeste as well as the vibraphone add a percussive and at the same time rounder texture to the harp. The Ondes Martenot, one of the earliest electronic musical instruments invented in the 1920s, has an eerie tonal quality to it, similar to that of a Theremin. Being a pioneer of scoring with electronic instruments, the Ondes Martenot was frequently used by Bernard Herrmann – most notably in the score for 1951’s science-fiction movie The Day The Earth Stood Still. To honor this staple of Herrmann’s sonic world, Spitfire Audio added a vintage Ondes Martenot with various sounds and playing techniques to the toolkit. 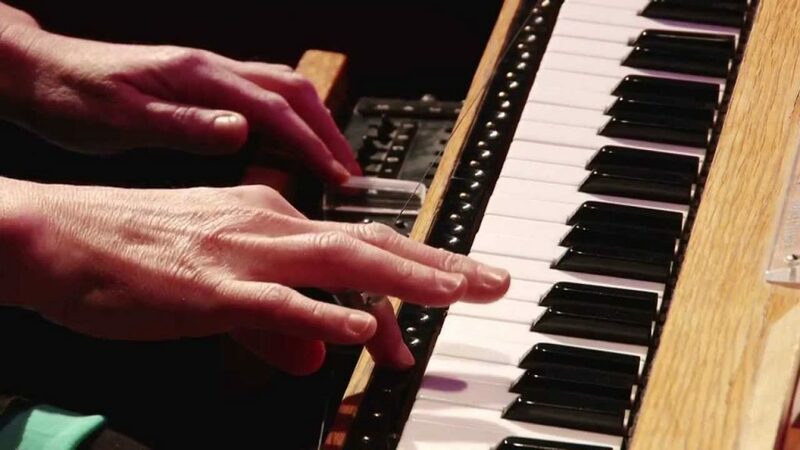 Although some of the articulations were recorded pretty quietly, you can definitely hear the sonic quality of the Ondes, which sounds like a hybrid of an old accordion mixed with a Theremin – including all the dust and grit of the instrument’s old vacuum tubes. The toolkit’s percussion patch features a collection of orchestral and auxiliary percussion instruments recorded in the dry recording room, including both standards like a bass drum, snare or woodblocks as well as various metals and bongos. The timpani got its own patch which combines both hits and controllable rolls recorded with various types of sticks. Due to the dry recording environment the instrument was sampled in, you get a very powerful and direct timpani sound that you may not have found in your arsenal yet. One thing that’s apparent after even just a few minutes of playing around with this library, is the attention to detail and the effort that went into faithfully reviving Bernard Herrmann’s orchestral aesthetics. From the smartly chosen instrument combinations to unique articulations, you can see that the guys at Spitfire really took their time to delve into the topic. Although it’s perfectly fine to use the sounds as they are, when working with the toolkit for a bit longer, you learn to appreciate all those sonic options and flexibilities that the various microphone positions give you. 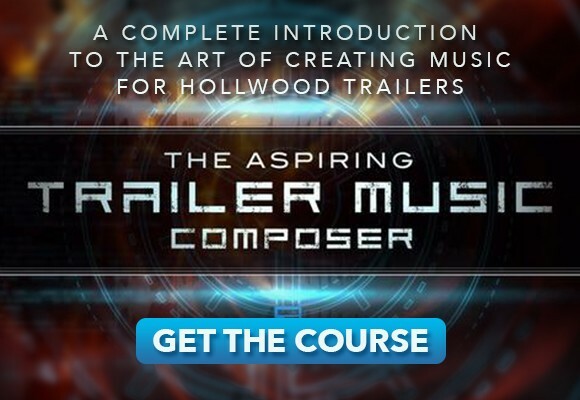 The Bernard Herrmann Composer Toolkit provides you with a fresh set of cinematic orchestral colors that inspire to take a different compositional route here and there. And hey, let’s be honest here – how can that be a bad thing? 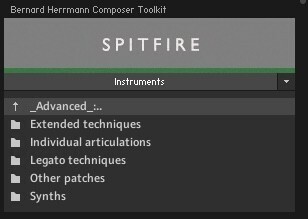 Spitfire Audio’s Bernard Herrmann Composer Toolkit is available via the developer’s online shop and will set you back $499.00 / €509.00. Great run through on the Herrm as n Toolkit. But the library is pretty big. 147 GB samples and compressed to 225GB. I only have 16 GB Ram with an internal SSD. Will I have to get an external hard drive or a new computer? This library might be too much for my computer. I don’t know. Hi Kenny, thank you so much! 16 GB of RAM should be plenty to run this library smoothly. However depending on how big your internal SSD drive is, you should consider transferring your sample libraries to a dedicated external hard drive. By the way, as far as I know, Spitfire Audio offers a hard drive delivery option for most of their products in place of a download. You can check this option during the checkout process. Hope I could be of help!